Deals are obviously flying all over the place at the moment, but we've just found one of the best ones on Amazon. 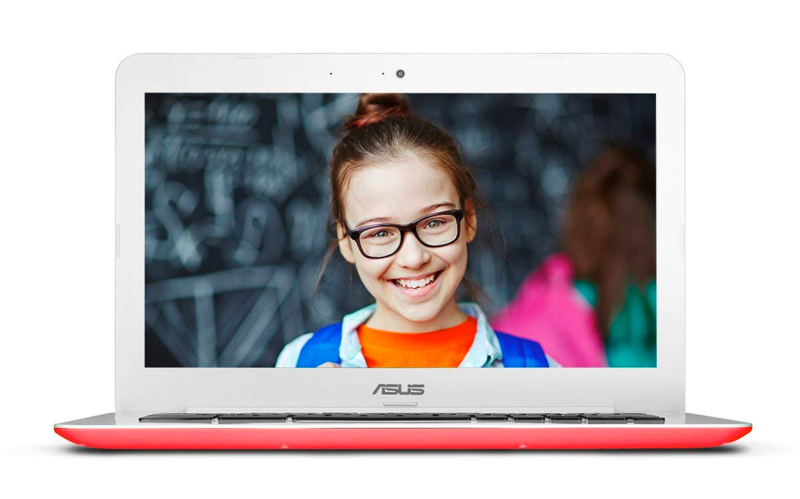 If you're looking for a budget laptop to surf the web on or give to one of your children, this ASUS Chromebook for only $159.99 from Amazon could be the perfect buy. It's not incredibly well-specced, with a dual-core Celeron processor, 4GB of RAM, and 16GB of storage, but it's got a good-sized non-glossy 13.3-inch display (1366x768) and 10-hour battery life, so you can't really complain when the price is so low. Even though it doesn't have a touchscreen, you can now get Android apps from the Play Store on it, increasing the usefulness of the device even further. 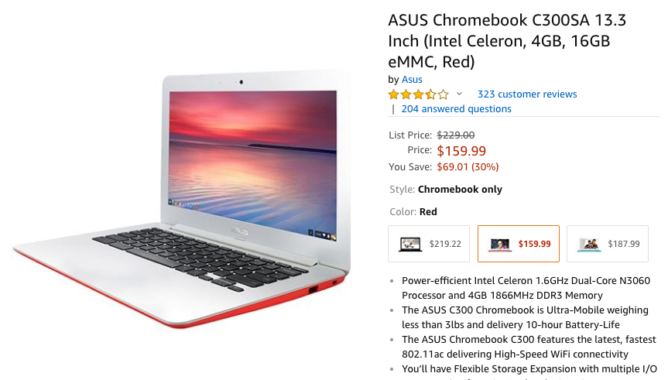 If you just want an inexpensive Chromebook knocking about the place, this looks like a pretty good deal to us. If you're happy with a refurbished model you can get it even cheaper — this model on Newegg comes in black and costs just $129.99.